Intimate partner yoga is a grounding, soul-reaching, and deeply moving way to connect, build, and restore trust and intimacy in a romantic relationship. Partner yoga is also an excellent way to strengthen the bonds of friendship. We offer a private, playful, and intimately connecting yoga experience for couples, close friends, brides and grooms to be, wedding and anniversary yoga for husbands and wives. 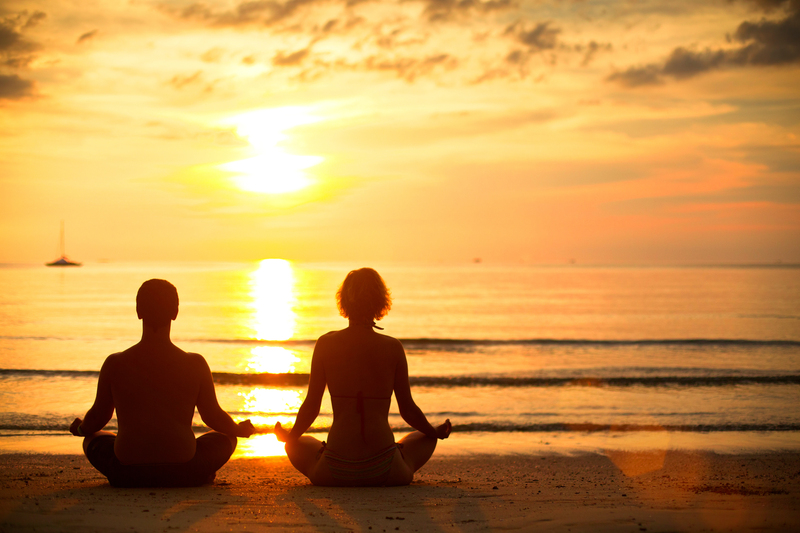 Our private couples yoga sessions are held in the beautiful and natural outdoor surroundings of the Lowcountry beaches of coastal Charleston, SC and surrounding sea islands. Whether you live in the Charleston, SC area or have traveled here for vacation, find the true meaning of “namaste” on Folly Beach by connecting through mindfulness, love, and breath. Both male and female teachers are available by request. Contact us to schedule a partner yoga session.